This is Nelson Mandela life story. Invictus evokes emotions and the greatest remembered times of the South African President Nelson Mandela who within his times created the best and most remembered leadership of all times. 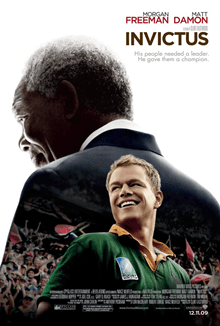 The Movie Invictus involves actor Morgan Freeman, clearly shows the role Nelson Mandela played during and after the apartheid rule. He was a man who rose to leadership of his country twenty four years later after being imprisoned by the minority Whites. Despite this he forgave them for jailing him and through that he created what was the real truth and Reconciliation path that gave the real meaning off someone who had a lot to forgive and went ahead to forgive. According to the Global Leadership and Organizational Behavior Effectiveness, there lies nine ways in which national cultures are measured. Assertiveness, individualism, human orientation were some of great leadership traits Nelson Mandela portrays in the movie Invictus. Nelson Mandela acted with assertiveness and portrayed the self-denial by stepping aside only after ruling for one term. He portrayed human orientation by also agreeing to forgive the whites who had made him suffer, by throwing him in prison for over two decades. Freeman acting as the president realizes how the country is torn between racial discriminations, high levels of unemployment and poor political management by the blacks only a year after assuming power. He portrays confidence, commitment to national values, closer ties with however he mingled with all portrayed his leadership skills. He treats all sorts of people with decorum and respect, as portrayed when he meets the Springboks captain, Piennar. He ascertains power with authority by constantly reminding his staff that issues can be handled differently. He does more by encouraging Team work which he does by inspiring cheering of the springboks by all the races whether white or black. An effective change management is one that ensures that change occurs thoroughly and following the right procedures. This change thus leads to everlasting benefits that affect the current and future results. A change management focus is one that impacts positively on the lives of people, not only as individuals, but also as teams, thus enabling them to move from the current state to a better state. Morgan freeman, portrays Nelson Mandela as a strong manager who tried to bring his people together for a common good. He brings together members of the dividend nation together by ensuring South Africa obtains the Rugby hosting of the World cup. Through this the nation is brought together using sport. He goes on to attend the South African games as a way of encouraging the players. Mandela surely portrays how important it is to agree to national decisions, after the local sporting organization changes the name of the team to suit a black nation. He goes against the idea but losses on the vote, but uses this as an encouraging way and takes the loss as a small win. Mandela uses communication to achieve great results, through regularly meeting the organizers of the team he constantly keeps in tab to know the team’s progress from them. Further before the games he summons the Springbok captain and tells him to believe they can win despite all the indications they could lose. He also memorizes the names of all the springbok team players so that he can be summoning them individually in his office as a way of encouraging them. More so, he goes well with the staff who call him Mandiba in line with his clan. He also knows them by name. Previous PostPrevious How Did Nelson Mandela Shape the Course of South African History?